The Appalachian Trail is one of the longest continuously marked footpath in the world, measuring roughly 2,180 miles in length. 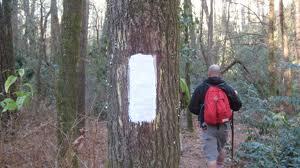 White painted squares called ‘blazes’ are painted on trees every 100 yards or so throughout the trail. It is pretty much impossible to get lost as long as you follow the blazes. When I read that quote, I was like “That is so true!” Nature does have this ability to heal, cleanse and change. For example, there are many Iraq war veterans that are hiking the AT and the Pacific Crest Trail to get over PTSD. Backpacker magazine had a great article on that topic several months ago. I see nature as God’s gift to man kind, a gift that can heal the most broken of spirits. Gain more self confidence and inner strength by venturing out into the unknown. Test my character by experiencing the elements, whatever they may be. 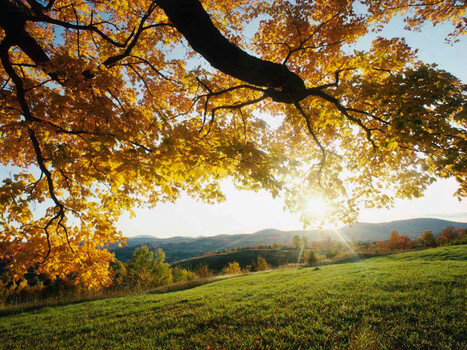 Experience the healing power of nature. Spend some time and reflect on life.